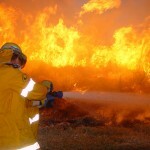 Bushfires are part of life in Australia. These fires can produce vast amounts of smoke, off-gases and ash and there is a need to consider the most appropriate ways of providing respiratory protection for those exposed to these contaminants. 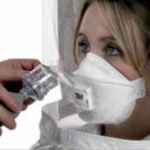 Checking that a respirator, with a tight fitting facepiece, provides an adequate seal to the wearer’s face has long been considered best practice as part of a general respiratory protection program. This tech update contains information on some methods of fit testing and some solutions from 3M to support a fit testing regime.